This story started out kinda slow and I was wondering if it was going to get any better. But then it began to turn around and ended up being a really good story. Ryan's life has fallen around her, since her father was sent to prison last year but she is going to live with her aunt and cousin that she hasn't seen in years. So basically, she is moving in with strangers. She has to adapt and move forward until she can figure out how to help her dad. Ash Dunne is the bad boy that Ryan is warned to stay away from. He is part of a gang the runs drugs and just about anything else bad going on in town. He would like to change his life to help his brother with a brighter future instead of him ending up in the gang. When Ryan meets Ash, she doesn't realize who he is and proceeds to chew him out. While Ash thinks it's funny and wants to get to know her better, Ryan is horrified when she finds out who he is, but she can't stay away from him. They seem drawn together and only see the good in each other. While Ryan is innocent, Ash has done some bad things. Can Ryan forgive the things Ash has done to be with him? Will Ash let her go instead of ruining her life? Will they survive life together? Will they prove her dad is innocent? And who is after someone Ash loves? I really liked this story, it just started slow but after a few chapters it picked up and moved along well. I have read L.A. Casey and her other series are great too. Looking forward to more from her in the future. 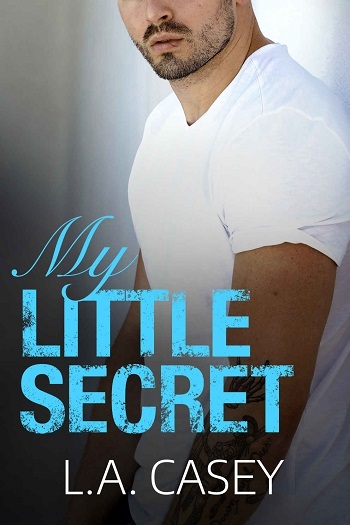 Reviewers on the Wicked Reads Review Team were provided a free copy of My Little Secret by L.A. Casey to read and review.